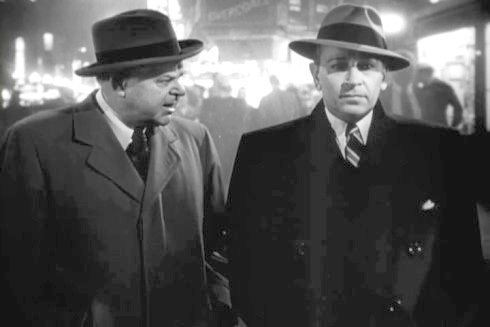 George Raft was one of those actors who pretty much played the same sort of character in all of his movies, though it served him in good stead. 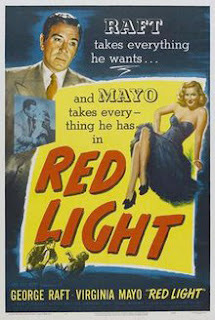 In Red Light, he gives the usual performance, as a man hunting those responsible for his brother’s murder. 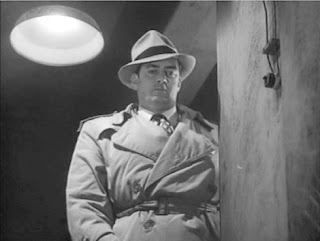 The story begins with a convict (Raymond Burr) brooding over how he blames his former boss (Raft) for being incarcerated for embezzlement. He learns that Raft’s brother (Arthur Franz), a Catholic priest, has recently returned from five years in a Japanese prisoner-of-war camp, and realises the affection Raft feels for his younger sibling is a means for revenge. He hires another felon (Henry Morgan) to kill the brother. Raft’s only clue in his search is Franz’s dying words, referring to what is written in a Gideon Bible, later stolen from the hotel room where the attack took place. Red Light is a pretty standard crime story, with a few attractive elements but too many disadvtanges to work. The story is interesting in that in involves a religious element not often found in such tales. It is refreshing to see a movie, in which a clergyman plays a significant part, making use of his beliefs and principles. Normally, priests, ministers and rabbis are used for gentle comic relief or to utter aphorisms that sound as though they came from fortune-cookies. There is also Raymond Burr, the most interesting member of the cast. His villain is soft-spoken and evil, sadistic and eaten by resentment. Yet there are moments when we see that he is capable of almost child-like charm. It’s no wonder that Burr was able to go on from many villainous cinematic roles to championing justice in the tv series Perry Mason and Ironside. As well, several very minor characters add liveliness to the film. However, too many other aspects of Red Light are poorly conceived or executed. 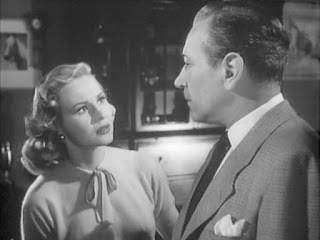 Virginia Mayo as the leading lady was a capable actress but here she is not at her best. The title is meaningless, and as misleading as the poster. The name of the story from which the movie was adapted referred to the Gideon Bible that plays such an important part. The direction is adequate and, in a scene in which Burr is stalking a victim, creates real tension. The footfalls of killer and victim are, though, so loud and out of place that they detract from the otherwise successful sequence. It may have been a failed attempt to use the sound to heighten the excitement. Much of the story depends on unlikely coincidences that are not explained. Raft determines to track down everyone who was in his brother’s hotel room the week after the murder, as among those men and women may be the person who took the Bible. He finds Mayo this way and, strangely, her brother served in the same army unit in which Raft’s brother served; there is no reason for this connection except to serve as an unfair red herring. We see Burr at another hotel where Raft questions a bookie, though there is no purpose to Burr being there. Morgan meets Burr at Raft’s work-place, while there is no way he could have known Burr was there at the time. Despite several points in its favour, Red Light is a mere time-filler, ordinary but no more. I may watch this sometime, if only to see Raymond Burr playing a villain. 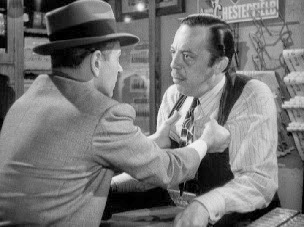 I grew up watching "Perry Mason" reruns, so it never ceases to jar me that most of his previous career was playing bad guys.